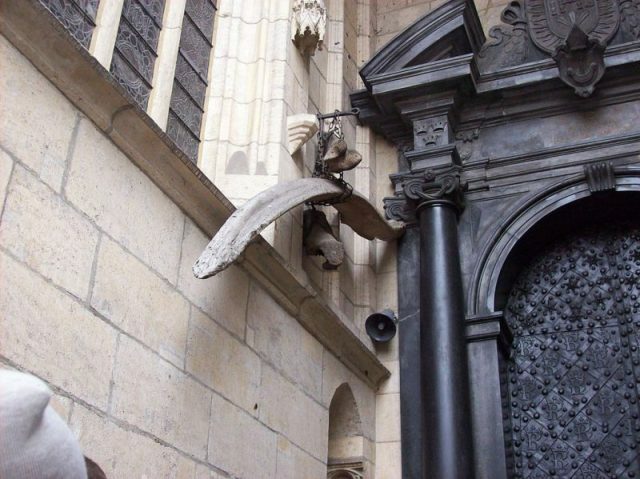 Considered one of the great medieval world maps. 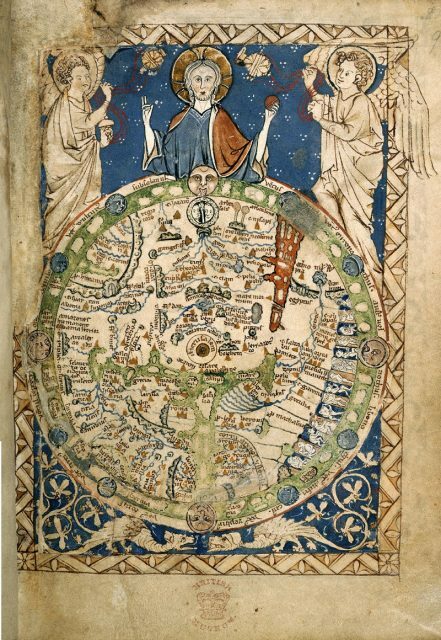 Probably a copy of the map that adorned the bed chamber of King Henry III. 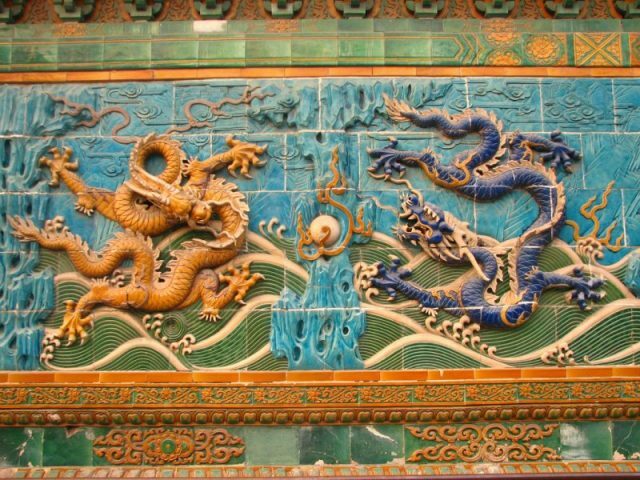 Ancient Greek mosaic from Caulonia, Italy, depicting a cetus or sea-dragon. 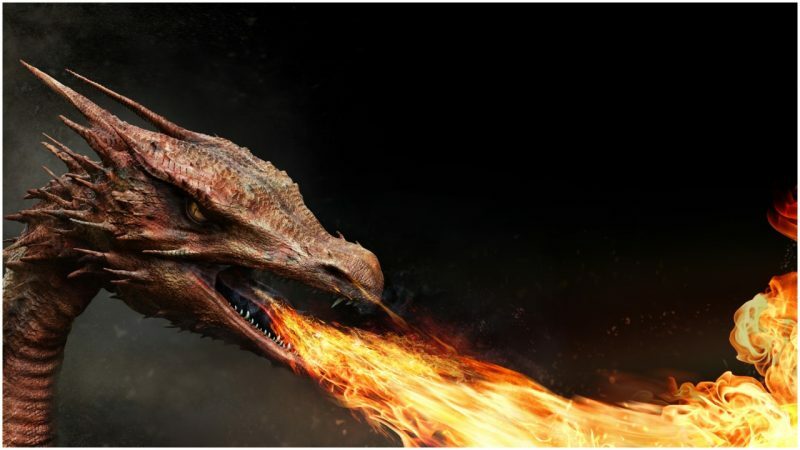 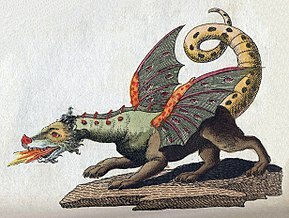 Illustration of a winged, fire-breathing dragon by Friedrich Justin Bertuch from 1806. 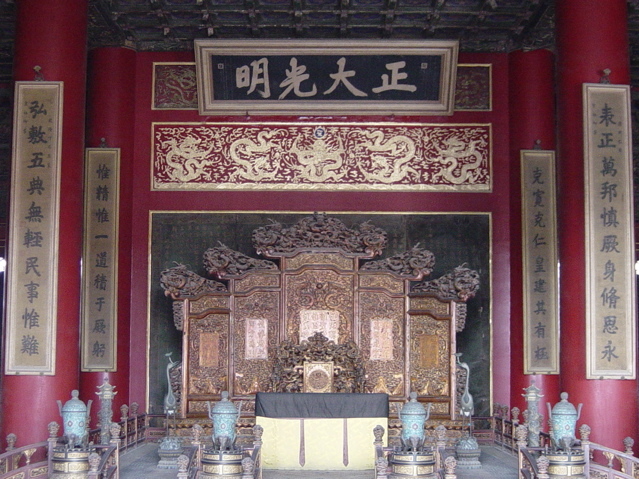 In Chinese history, the Dragon Throne of the Emperor of China (pictured here in the Palace of Heavenly Purity) was erected at the center of the Forbidden City, which was itself regarded as the center of the world. 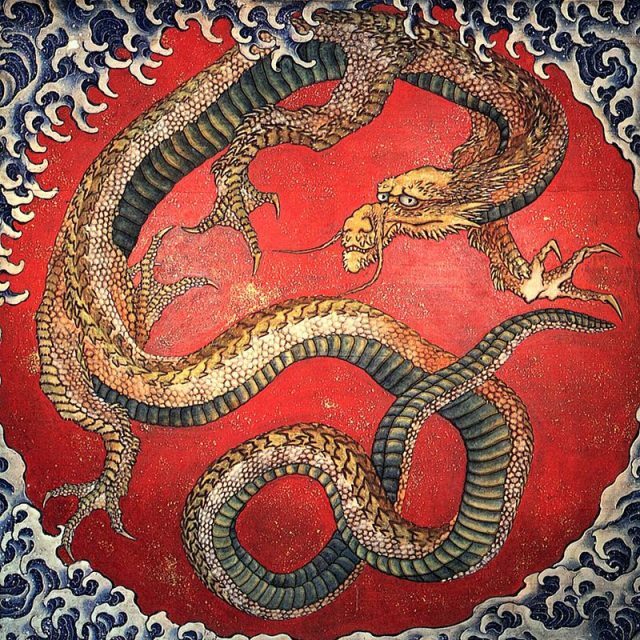 Painting of a Japanese dragon by Hokusai (c. 1730 – 1849). 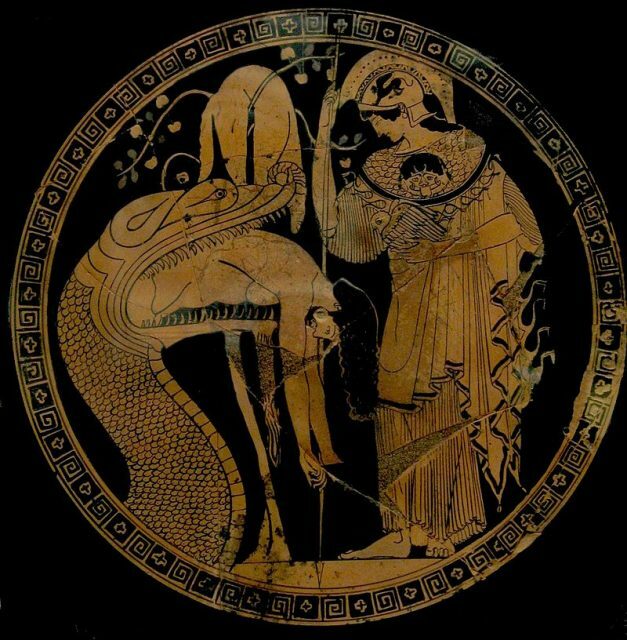 Attic red-figure kylix painting from c. 480–470 BC showing Athena observing as the Colchian dragon disgorges the hero Jason. 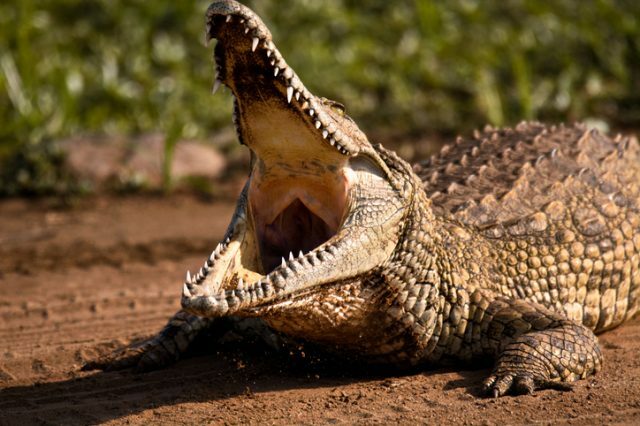 Young Nile Crocodile gaping while basking in the sun. 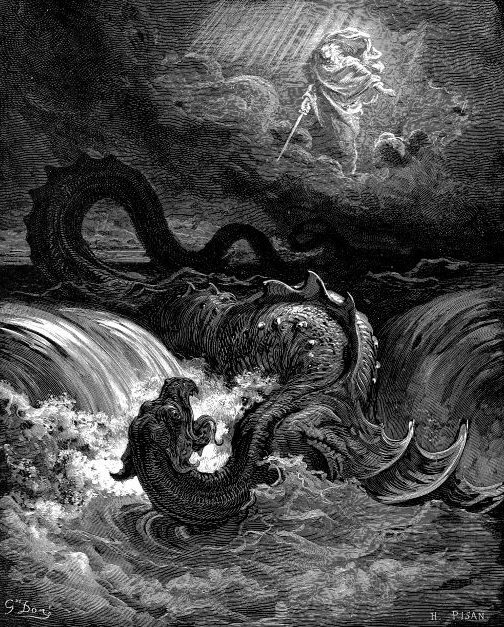 The Destruction of Leviathan (1865) by Gustave Doré. 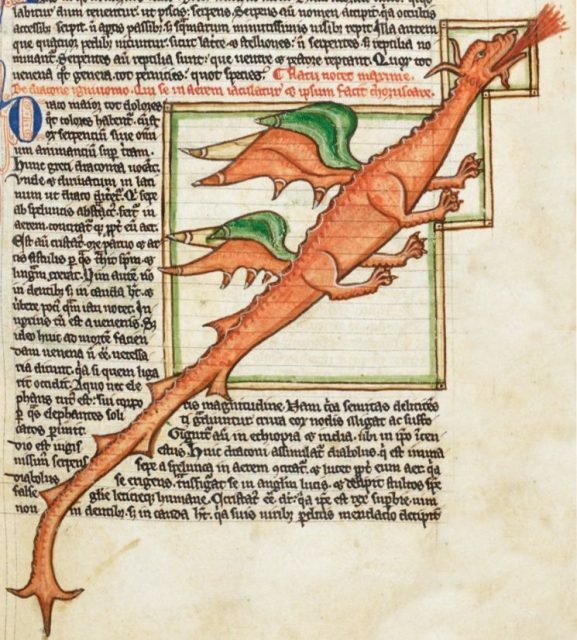 A medieval bestiary dated to around 1260 AD, contains the oldest recognizable image of a fully modern, western dragon. 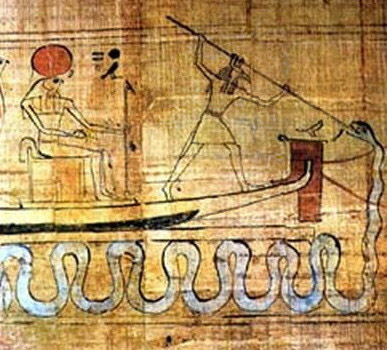 Illustration from an ancient Egyptian papyrus manuscript showing the god Set spearing the serpent Apep as he attacks the sun boat of Ra.